At Roché we have always been transparent with the cost of our products. This is why we provide guide prices for awnings across our website. Every project is slightly different, and your exact requirements will be assessed during the survey, but our website prices provide an honest representation of our supply-only prices. We also have a fixed installation cost should you require our help. Properties which allow for straightforward installs don’t require many special frameworks or brackets. In these cases our formal quotation prices are simply our website prices plus installation. Simple or complex, we will always provide a breakdown of our costs and you can decide if you would like to go ahead. If, having seen our prices, you are interested in receiving a written quotation, we can arrange for a surveyor to pay a visit. Concerned our prices are vastly different to other awning suppliers? It’s important to note two awnings can be poles apart when it comes down to the quality of the product. It is possible to purchase a ready made design for the tenth of the price of a bespoke one, and although that may seem tempting initially, it really pays to spend more if you can stretch your budget. In the world of awnings, the brand you choose is much more than a logo. Many websites offer extremely cheap awnings which you can buy online, with prices starting as low as £99. While they serve their purpose for the lower end of the market, these products are made in China and tend to be poor imitations of the European engineered designs. Since retractable awnings first gained popularity in Europe, the continent has the most experience in producing them, along with the toughest standards on build and design quality. The best awnings are tested to internationally recognised ISO 9001 quality control systems. Working with Markilux and Weinor means we are able to offer a 5 year warranty. This is because we trust the quality and durability of the products they sell. Entry level awnings won’t have this reassurance. This is because they often feature poor quality components, such as weak arm mechanisms and cheap plastic covers. Cost cutting inevitably affects the strength of the product, meaning it won’t be as durable and could even pose a safety risk. 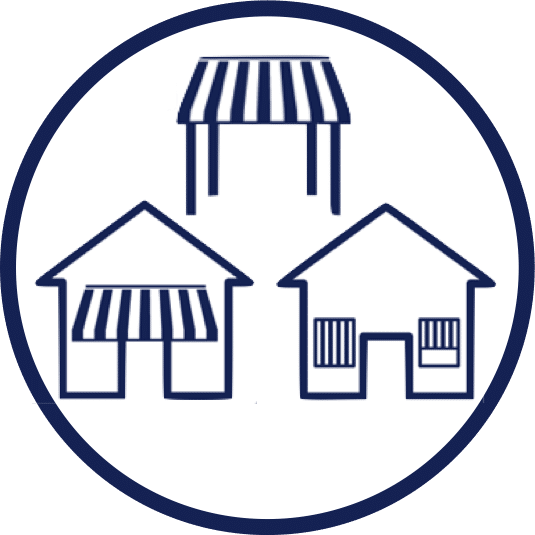 Although two awnings may look similar online, the reality can be that they’re actually very different. Choosing quality is an investment, and not just for your use either. When people buy a house it can be the small things which make the biggest impression – a premium awning could well be the wow factor which inspires a sale in the future. High-end awnings won’t only get you a better product, but a different level of service too. Supply-only awnings may be of interest if you have somebody to fit it for you, but we strongly advise against anything advertised as DIY unless you are highly skilled. The problem with DIY awnings is that they aren’t the easiest things in the world to install. They require assessing a wall’s strength and its ability to bear the extra load. Not only that, but you’ll need to drill into the wall multiple times, safely lift the heavy awning up (while on a ladder) and, if you want electric operation, you’ll have to get an electrician to hardwire it in anyway. The alternative is wiring a plug through the exterior wall to reach a socket indoors. All in all, it’s not easy. The most concerning factor is you’ll need enough faith in your installation skills to let your family sit and eat dinner underneath the heavy structure. At the other end of the scale, a full installation service will let you relax knowing everything is going to be fitted safely. You’ll also receive the expertise of a surveyor and design team, who will be able to answer any questions you have, provide advice and solve any tricky on-site issues. 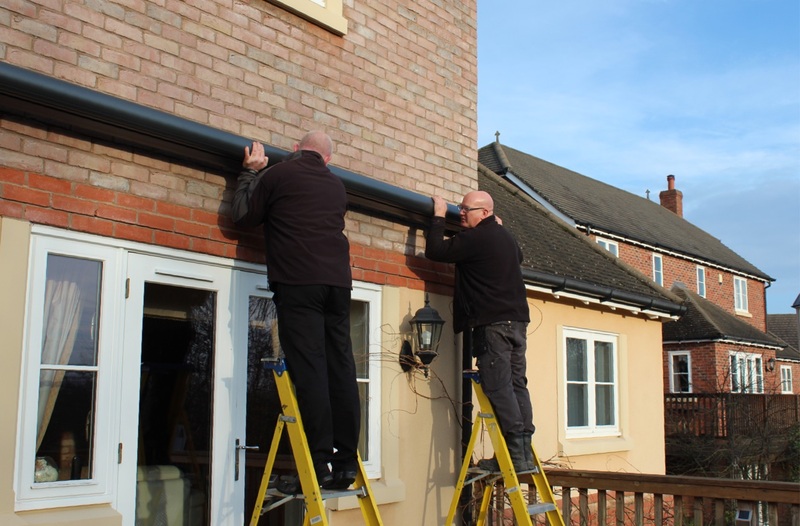 A full survey beforehand means there won’t be nasty surprises on installation day, guaranteeing your awning will be a perfect fit. While we do price extremely competitively, remember not to simply choose whichever company provides the cheapest quotation. Here at Roché we offer nationwide installation, along with many years’ experience and reliable testimonials. If you have enough money to invest in a custom made design, you’ll benefit from complete control over nearly every element. From tweaking the width to the exact centimetre to selecting from different fabric types, colours and patterns, the whole installation is down to you. It’s impossible to receive that kind of product if you’re buying ‘off the shelf’. There are also advantages in that you’ll be able to choose a larger awning, simply because better quality designs have a stronger framework. While the mantra doesn’t apply to everything, with awnings you really do get what you pay for. If a retractable design is advertised for a really cheap price, you’ll be getting a really cheap awning. If you want your installation to last 10 or 20 years, choose a product and supplier which you can trust. We have written some example awning prices, or see our prices on our patio awning products themselves. For a tailored quotation, speak to the Roché team about booking a survey.